They should hang me or send me to jail, said former PM Nawaz Sharif said on Tuesday. He said that the Supreme Court should get the corruption references against his family transferred to itself. “Then give whatever verdict they like,” he said. The former PM appeared before the accountability court for the Avenfield reference hearing against his family. “Have you hired another lawyer?” asked Muhammad Bashir, the judge of the accountability court. He told Mr Sharif to either convince Khawaja Haris to resume representing him as his counsel or get another lawyer. On Sunday, Chief Justice Mian Saqib Nisar ordered the NAB court to wind up the hearings of all three corruption references against the Sharif family in a month. The Supreme Court rejected the plea of Khawaja Haris, who asked for six weeks to complete the trial. A day later, Haris withdrew from representing the former PM in the cases. He appeared before the accountability court on Monday along with Mr Sharif. On the other hand, Mr Sharif consulted with the lawyer of Maryam Nawaz, Amjad Pervez, at the accountability court. Maryam Nawaz and Capt (retd) Safdar also arrived at the court for the hearing. Meanwhile, the hearing was adjourned till June 19. Both Nawaz and Maryam were ordered to appear in the next hearing. The Supreme Court had disqualified then PM Nawaz Sharif in the Panama Papers case on July 27, 2017, from holding public office. The deposed PM’s name did not appear in the Panama Papers. The papers linked, however, his children to offshore companies and properties. 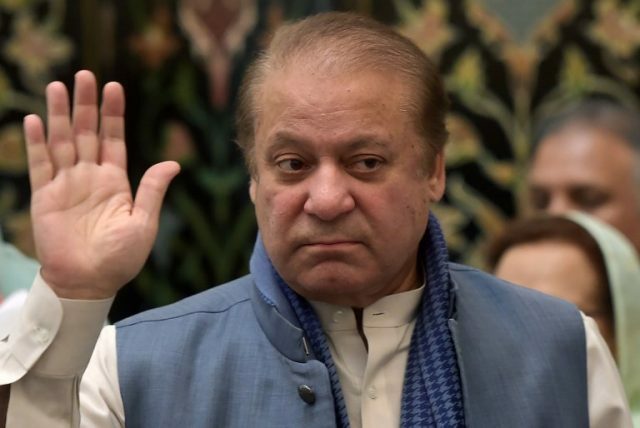 The court ordered the National Accountability Bureau (NAB) to investigate into the Sharif family’s wealth as there was “insufficient evidence” to oust the PM over allegations pertaining to his family’s wealth. NAB filed three corruption references against Nawaz Sharif, Maryam Nawaz, Hussain Nawaz, Hasan Nawaz and Capt (retd) Safdar. The Sharif family denies involvement in any kind of corruption.